With the XXII Winter Olympic Games in Sochi, Russia just around the corner (Feb. 7-23), some creative folks in Vermont are sharing the love of outdoor activities with the world. 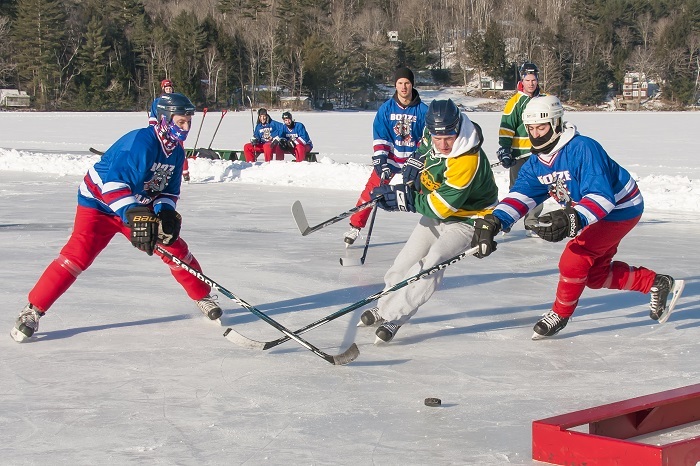 Offering sports like snowshoeing, curling, pond hockey, ice fishing, and Nordic skiing, organizers of the inaugural Ice Sports University (ISU) will share the fun of winter sports with visitors to Lake Morey Resort in Fairlee, Vt. the weekend of Jan. 24-26. With its own 600-acre lake providing the icy playground for the weekend’s festivities, the resort will have instructors on hand giving complimentary one-hour lessons on Saturday morning and afternoon, culminating with a friendly competition from 3-4 p.m. for those who wish to try their new skills in action. All equipment (except helmets) will be provided onsite. Prizes and participation “diplomas” will be awarded during a fun graduation ceremony on Sunday morning. Organizers remind that all participants need to sign up for activities in advance. Lake Morey Resort is home to the country’s longest maintained ice skating trail, which makes a 4.5 mile loop around the lake. 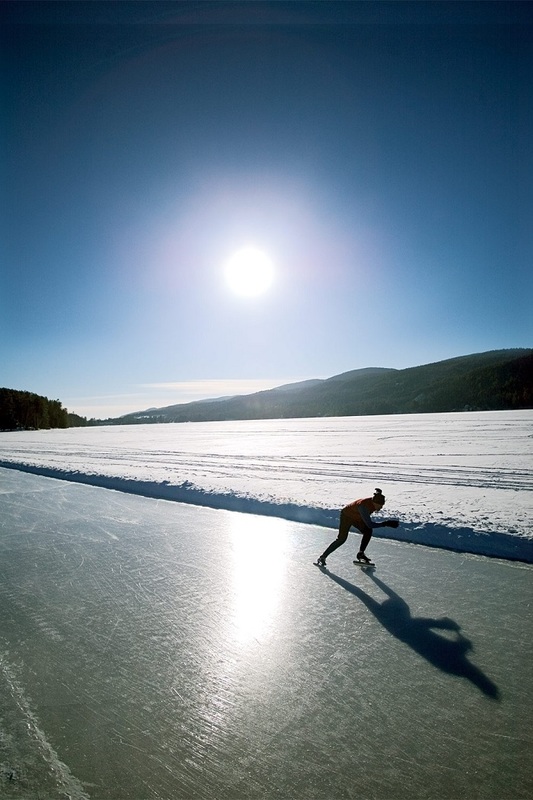 All winter long, weather permitting, the resort also maintains a series of smaller rinks that guests can use for ice skating or to participate in pick-up pond hockey games. Throughout the weekend, the resort’s complimentary 120-seat indoor movie theater will be streaming classic Olympic and winter-sports-themed movies, including “Miracle” and “Cool Runnings.” Also, a variety of other indoor activities are available for “ice widows and widowers,” from swimming and table tennis, to massages and other treatments in the resort’s Waters Spa. On Friday and Saturday evening, guests can enjoy live entertainment in the Steamboat Lounge, and the Lake Morey Beer Master will offer a variety of specialty brews on tap. For more information, visit www.lakemoreyresort.com or call 1-800-423-1211. Special Olympics Snowshoe Coach is Recognized by Coaches Association of B.C. 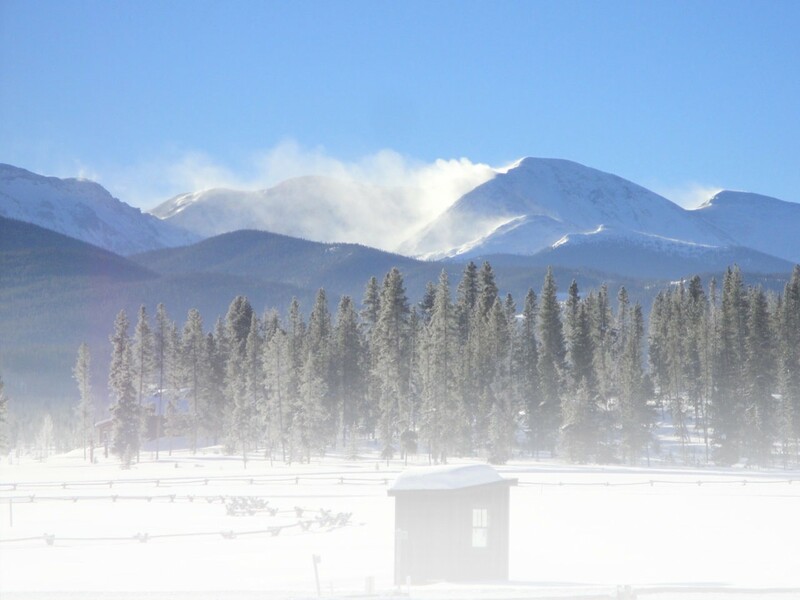 This entry was posted in Features, General, Homepage Featured by Rick Stedman. Bookmark the permalink.